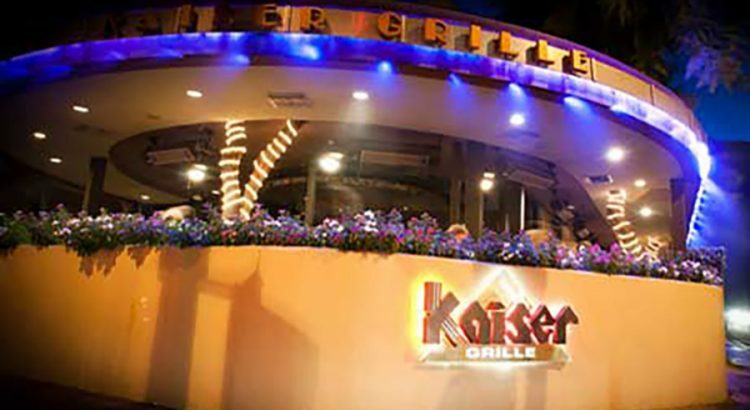 Kaiser Grill was the very first restaurant that Kaiser & Lee Morcus created in the Coachella Valley and it was a smash hit from the day he opened its doors in Palm Desert in 1992. Mr. Morcus, a native of Lebanon, had owned and operated successful restaurants and hotels in Colorado before he retired to the Palm Springs area in 1976 intending to play a lot of golf and just enjoy the desert climate. He tired of this life of leisure. He wanted to be working again and he recruited his oldest son Lee, who was operating restaurants in Chicago, to join him. There weren’t many notable restaurants in the area back then, and his concept for a casual but upscale bar and grill proved to be exactly what the neighbors were craving. With whole chickens cooking on spits in plain sight and a contemporary California menu with affordable prices, along with a comfortable, clubby décor, Kaiser Grill set a new standard for desert dining. Eventually 1998 they decided to open a second outpost 12 miles west to the heart of Palm Springs’ famed Palm Canyon Drive, where it thrives today. The Palm Springs Kaiser Grill offers an outdoor patio where diners can observe the passing parade of shoppers and tourists, as well as a spacious interior dining room and bar. Serving lunch and dinner, the menu still reflects contemporary California cuisine with an abundance of fresh vegetables, antibiotic- and hormone-free prime Angus beef, fish and shellfish, and pizzas baked in a wood-fired oven.